My name is Justin Lupele. I am the Chief of Party of a United States Agency for International Development (USAID) funded project in Zambia called SPLASH (Schools Promoting Learning Achievements through Sanitation and Hygiene). SPLASH is implemented through the USAID-funded WASHplus project. SPLASH’s overall objective is to sustainably improve access to safe water, adequate sanitation, hygiene information and health practices to improve learning environments and educational performance in Zambian primary schools. Education quality is generally seen in terms of provision of books, teacher deployment, ICT, mobile technology, classroom construction, and learner test score performance, among others. But just as critical (if not more so!) is access to water, sanitation and hygiene infrastructure. If clean drinking water, hygienic toilets, and places for hygiene practices such handwashing are absent in a school – we cannot talk about quality education. Gender parity – equal enrolment for girls and boys – is a step towards the Education For All (EFA) goal of full gender equality in education. Gender equality includes making sure the school environment is safe, has good infrastructure such as separate latrines for girls and boys as well as menstrual hygiene management facilities for girls. When these are lacking, learners underperform, and girls may cease attending school altogether. Unfortunately, ministries of education in most African countries often feel that WASH is better left to engineers. The WASH sector assumes that the MOE is providing WASH in schools. Sadly, this pillar of quality education is often neglected. A survey by UNICEF found that in 41 priority countries, fewer than 50% of schools had adequate water and sanitation. SPLASH and other MOE partners are committed to provide equity of access to quality education. The project works in 616 schools in Eastern Province of Zambia to improve WASH facilities such as boreholes and latrines (with washrooms in girls’ latrines). Assuring a sustainable operations and maintenance system for the built facilities within existing Government of Zambia institutions and community structures. Teacher/learner attendance (girls and females), and retention. Teachers are reluctant to work in underserved and remote rural areas, which lack basic facilities such as water and sanitation, electricity, good housing and health care. Increased days available for instruction especially for adolescent girls. In order to achieve its objectives SPLASH works with a number of government, private partners and local communities around the schools. Local communities’ contributions in kind and financial terms add up to 35% of the total cost of the construction of sanitation infrastructure. We cannot talk about quality of education in a school without water, sanitation and hygiene even if such a school had all the necessary text books and technology. Armand AGUIDI AMOUSSOU, the coordinator of WASHplus project in Benin was recently interviewed by Rachel Araye KPANOU, Technical Assistant at CWP Benin, for Blue Pages magazine. Here is a brief description of the WASHplus Benin Hygiene Improvement Project followed by the interview with Armand. In Benin, WASHplus is implementing a three-year (2012-2015) behavior change program targeting key hygiene practices that directly affect children under 5, i.e., hand washing with soap and drinking safe water, in select urban poor neighborhoods. The WASHplus peri-urban hygiene improvement program is working on creating urban WASH (water, sanitation, and hygiene) advocacy and resource leveraging platform, as well as implementing a pilot hygiene improvement activity in two peri-urban neighborhoods. Partnering with the Ministry of Health/Direction Nationale de la Santé Publique (Public Health Service), WASHplus designed and carried out a baseline survey of vulnerable peri-urban zones of Cotonou, Abomey Calavi, and Porto Novo. The baseline survey results are being used to underpin a two-year, behavior-focused pilot hygiene improvement activity and to shape advocacy and WASH planning events. WASHplus is building a platform with partners such as UNICEF to generate interest in WASH in Cotonou, where little investment in WASH exists, especially in the poorer neighborhoods. The partners intend to seek and create opportunities for convening stakeholders from the government, donor and NGO community, and private sector to address the critical WASH needs of peri-urban Cotonou. WASHplus is working through a contracted implementing NGO (ABMS) to carry out social marketing and behavior change communications for improving hand washing and practices related to household drinking water quality in two of the most underserved neighborhoods of Cotonou. 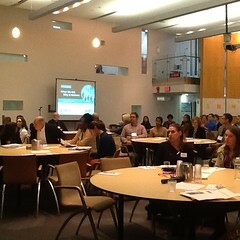 The program includes a strong monitoring and evaluation component to assess effectiveness of selected approaches. The MOH/DNSP will utilize both the baseline methodology and the pilot program experiences to develop its own WASH strategy for urban and peri-urban zones in Benin. 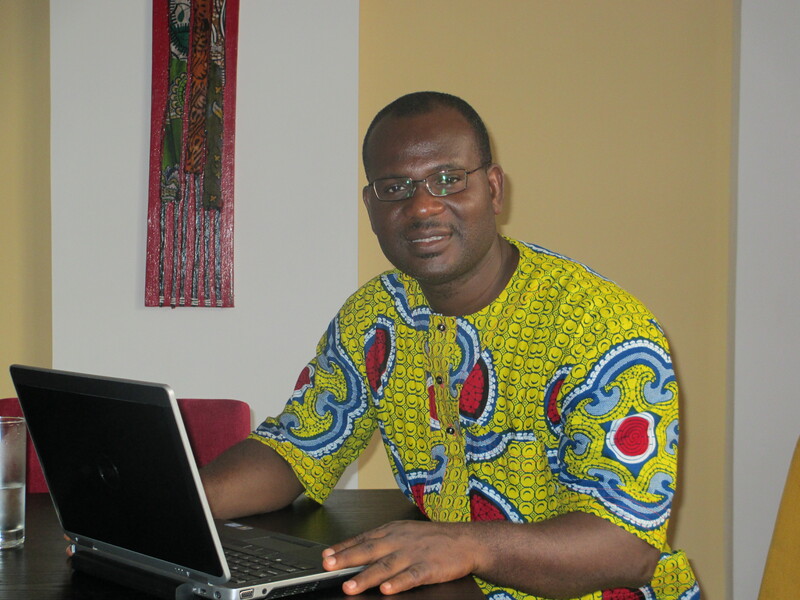 My name is Armand AGUIDI AMOUSSOU, environmental lawyer, and the coordinator of the USAID-funded WASHplus program in Benin. What activities does WASHplus carry out Benin? For the past few years, WASHplus has implemented programs in various countries that aim to create healthy environments for households and communities by providing high-impact interventions in water supply, sanitation and hygiene (WASH). WASHplus uses proven interventions to reduce diarrheal diseases and acute respiratory infections: the two main causes of mortality in children under five in the world. WASHplus brings expertise in the integration of WASH in areas such as education, HIV/AIDS, maternal and child health, and nutrition. WASHplus builds strong partnerships in countries to increase the program’s impact. 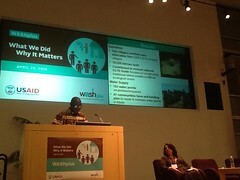 In addition, WASHplus’ mandate is to promote innovation in the WASH sector. WASHplus is funded by the U.S. Agency for International Development (USAID). In 2012, USAID/Benin called upon WASHplus to carry out a hygiene improvement program in the poorest neighborhoods of urban Benin, especially to support other programs already being implemented targeting young children. After field visits the WASHplus team proposed a package of activities whose implementation started in October 2012. The goal of the program is to reduce vulnerability of inhabitants of peri-urban zones of Cotonou through replicable and sustainable actions specifically targeting key hygiene behaviors shown to reduce diarrheal disease. WASHplus targets poor and underserved households while also involving neighborhood social and business partners. What are the objectives of the WASHplus Programme? Strengthen the technical capacity of local partners in the design, execution and monitoring of hygiene behavior change activities these peri-urban areas. It is important to note that the geographic area covered by this program includes two representative peri-urban underserved neighborhoods in Cotonou. The intention is to conduct pilot activities that will serve as models for technical services as Ministry of Health Basic Sanitation and Hygiene Service and the Municipality of Cotonou to better serve all urban and peri-urban areas. What are the achievements that you can share with our readers at this stage of the project? As a follow up, we are working in collaboration with local NGO PSI/ABMS who have conducted a situational analysis on the two pilot neighborhoods, to improve hygiene and support households and local schools and health facilities to adopt more positive health and hygiene behaviors. In addition, we are planning an advocacy event “call to action” with UNICEF to generate interest and possible investments by government and non-governmental actors in WASH improvements in peri-urban areas. Finally I want to say that WASHplus is open to partnerships with local public or private entities working in the same sector because we believe that the combined efforts of different organizations will lead to the resolution of WASH-related problems facing our people. For more information on USAID/WASHplus please visit the website: http://www.washplus.org. Handwashing was my first love in global health. I was a medical doctor in the UK when the opportunity arose for me to take time out from my clinical practice and work for the British Government’s Department of Health. I was leading on various aspects of national healthcare reform, like comparing health systems internationally, and designing and delivering a campaign to engage doctors in actively improving healthcare safety and quality. I realized that while I loved clinical medicine, I was also excited by the challenges and opportunities of public health and policy – and I wanted to look beyond my own country to understand the global context. I started working for the World Health Organization in Geneva on national delivery of WHO’s first Global Patient Safety Challenge, Clean Care is Safer Care – focused on hand hygiene. This is where I first became a handwashing advocate, developing various WHO tools to support handwashing implementation by health workers across the world to reduce infections and improve patient safety. I still fondly remember having a tear in my eye the first time I heard the handwashing songs recorded by pop stars in Central America – my introduction to the first Global Handwashing Day. After my time at WHO, I returned to the UK and diversified my international program management experience while developing a closer understanding of the global health stakeholders, including the private sector. I was appointed as Deputy Medical Director of Bupa, Britain’s largest international healthcare company where I led on health communications, quality and safety of care, and healthcare innovations around the world. I was concurrently appointed to the Board of Directors of global health NGO Basic Needs, and achieved a joint Masters degree in Health Policy, Planning and Financing from London School of Hygiene and Tropical Medicine and London School of Economics. My Masters studies focused on scaling up global health interventions, and was published by The Lancet medical journal. My next move brought me fully back into international development. I relocated from London to Washington, DC in 2011 to continue my WHO patient safety research as a Visiting Scholar at Johns Hopkins Bloomberg School of Public Health, and taking up the position of Head of Policy and Advocacy for the Global Alliance for Improved Nutrition (GAIN). At GAIN, I worked with public private partnerships to improve nutrition, with a focus on policy and advocacy issues ranging from national and local legislation to the Post-2015 Development Agenda. Most recently I have been working for the World Bank as a public health consultant, and for Georgetown University where I am Adjunct Assistant Professor in International Health. I run their Mental Health in Global Development course, co-run their Global Health Promotion course, and teach on their Maternal and Child Health course. For fun, I dabble in mHealth, and in my spare time I read, ride my bicycle, write for the Huffington Post and National Geographic, paddleboard on the Potomac River, run a monthly storytelling show, and travel around the world (53 countries and counting!). I am delighted to be appointed to lead the PPPHW Secretariat, particularly at this exciting time for handwashing, where lessons and evidence in the field have the opportunity to come together to have real impact on the current global target setting processes like the Post-2015 Development Framework. I look forward to speaking to as many of you as possible to understand your different perspectives, ideas and expertise about how PPPHW can punch above its weight in the coming years, and the opportunities we can seize to have important, lasting positive impact on global health. The moment for a focus on handwashing is now, and I am delighted to be a part of it. Dr. Layla McCay is the new Director of the Public Private Partnership for Handwashing (PPPHW) Secretariat, housed at FHI 360. The USAID-funded WASHPlus Project supports the PPPHW in its efforts to promote handwashing and hygiene improvement. Layla is an international health and development expert, with specific WHO global handwashing promotion, advocacy, public private partnerships, and secretariat experience. She has published in leading medical journal The Lancet, and was named the UK’s ‘top’ young professional woman for impact on health systems around the world. Layla has also worked as Clinical Advisor to the World Health Organization in Geneva, and to the British Government. She has been Assistant Medical Director for Bupa, and Director for Basic Needs (a leading international mental health NGO). She’s conducted health services research at Glasgow, Osaka, Harvard, John Hopkins Bloomberg School of Public Health, LSE and LSHTM, teaches global health, and has published in journals including The Lancet and BMJ. 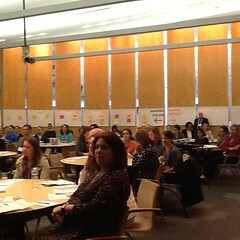 Special subjects include WASH, mental heath, healthcare quality and safety, mHealth, and eHealth. 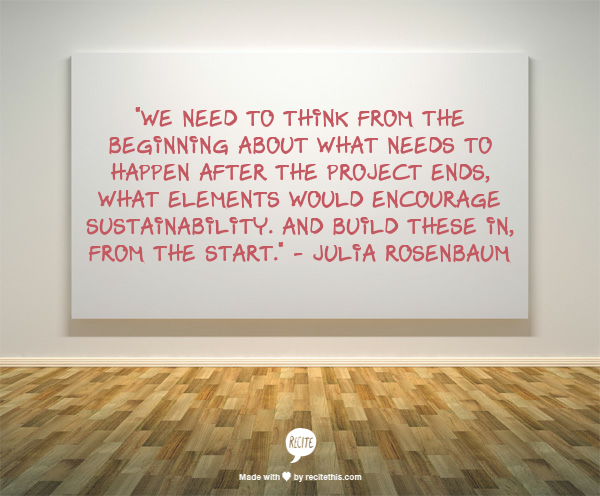 An interview with Julia Rosenbaum, Deputy Director and Behavior Change Advisor of the WASHplus Project, conducted by Carmen da Silva Wells, Programme Officer with IRC, at the 5th WASH Sustainability Forum in Amsterdam. This blog post is authored by Carmen da Silva Wells, and published on June 29, 2014 on the IRC website here. This week, the 5th WASH Sustainability Forum will bring together representatives from civil society, government, universities and the private sector eager to share ideas on how to make our investments and efforts in water sanitation and hygiene have sustainable results. Water, Sanitation, and Hygiene will each be explored as separate ‘tracks’ at the Forum. 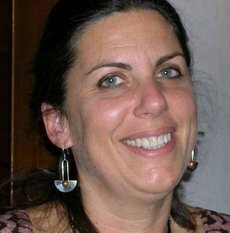 I spoke to Julia Rosenbaum, who leads the Handwashing/Hygiene track and is Senior Behaviour Change Advisor for WASHplus, a five-year project funded by USAID and managed by FHI 360 . At the Forum she will guide sector experts to take stock of what tools exist, and brainstorm the sort of tools that would be most helpful to support sustainable handwashing and household water safety. A panel discussion will bring in private sector expertise on behaviour change. What do we mean when we talk about sustainability in handwashing and hygiene? “The hygiene track focuses on handwashing with soap and household drinking water treatment, safe handling and storage. On these issues, sustainability is all about sustaining consistent and correct practice – or sustained behaviour change. Individual behaviours are actually the bottom line for all sustainable WASH improvements. In order to plan and implement hygiene interventions with lasting impacts we need to better understand what triggers behaviour change and motivates people to sustain hygienic behaviours. There is limited conclusive evidence on hygiene behaviour change, but we do know that people are motivated by other factors than health or fear of disease, the things WASH and health practitioners often focus on. The Triple-S tools mapping study found that more sustainability tools have been developed for water supply than for sanitation and hygiene. Despite an extensive search and engagement with relevant networks, you have found very few tools that address sustainability in handwashing and hygiene. What tools are there? It is critical to gather clear evidence of which elements support the consistent and correct practice of the behaviours over time. Beyond tools, a key challenge for the WASH sector as a whole is moving away from a project orientation: Interventions are donor driven and projects have a limited funding time frame, so funding to conduct any sort of sustainability assessment dries up before sustainability can be assessed. Civil society, governments and the private sector all have a key role to play in supporting individuals and households to practice safe hygiene.The kick-off event organised by RAIN on working with governments underscored the importance of engaging government and ensuring that there are financial commitments towards sustaining change after projects end. 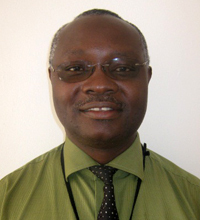 An interview with Dr. Justin Lupele, Chief of Party, WASH Project in Zambia. He is part of an expert panel at the upcoming 2014 African EduWeek on “Educating in today’s social and economic climate: Best approaches for educational challenges.” This interview first appeared on the African EduWeek 2014 website here. Strengthen the capacity of small-scale service providers and the private sector to deliver WASH goods and services on a sustainable basis. I am the Chief of Party/Project Director. 2) What education focused projects are you involved in that you are particularly excited about? The project is involved in hygiene education. I am particularly interested in menstrual hygiene management education. Through this programme we are enabling hundreds of girl children that have reached puberty to attend class as we encourage the provision of sanitary towels and washrooms for girls to manage their menses and continue to attend classes. 3) What in your view are the main challenges in education in Africa? The main challenge of education in Africa is the low investment by most countries. The national budgets on education are very low – in most cases less than 20% of the total budget. Deployment of qualified teachers, often trained at the country’s expense is another challenge. In the efforts of reducing wage bills, trained teachers are not being employed. This results in having schools that are managed by untrained teachers. HIV/AIDS has also contributed to the attrition of teachers. 4) What surprises you about your work? I am surprised at my work that ministries of education in Africa and other discussions around quality of education do not tackle water and sanitation as one of the factors that contribute to education quality. 5) You are part of an expert panel on socio-economic issues in the education at African EduWeek. What will be your message at EduWeek this year? My message will be to urge participants and governments in Africa to look at education quality holistically and to invest in water, sanitation and hygiene education. 6) What are you most looking forward to at African EduWeek? I am looking forward to learning from others, insights on how to improve learner attendance, especially girl children in rural Africa, and ways of lobbying governments to increase funding to education.